18,000 Kids Starve to Death Every Day! UNITED NATIONS (AP) — Some 18,000 children die every day because of hunger and malnutrition and 850 million people go to bed every night with empty stomachs, a "terrible indictment of the world in 2007," the head of the U.N. food agency said. James Morris called for students and young people, faith-based groups, the business community and governments to join forces in a global movement to alleviate and eliminate hunger — especially among children. "The little girl in Malawi who's fed, and goes to school: 50% less likely to be HIV-positive, 50% less likely to give birth to a low birth weight baby," he said in an interview Friday. "Everything about her life changes for the better and it's the most important, significant, humanitarian, political, or economic investment the world can make in its future." "Today 850 million people are hungry and malnourished. Over half of them are children. 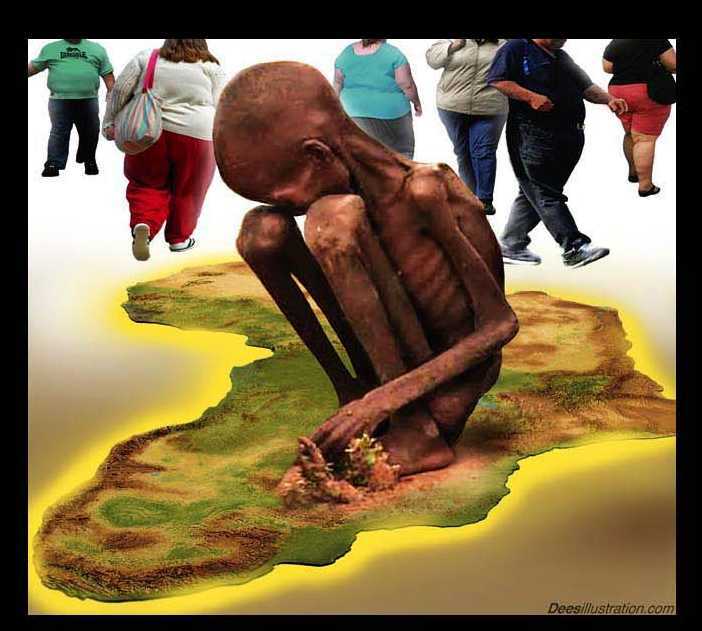 18,000 children die every single day because of hunger and malnutrition," Morris said. "This is a shameful fact — a terrible indictment of the world in 2007, and it's an issue that needs to be solved." Morris said the largest number of malnourished children are in India — more than 100 million — followed by nearly 40 million in China. "I'm very optimistic that India and China are very focused on this issue," he said. "They're making great progress — (but) need to do more. (It) needs to be a top priority." The response to these disasters and conflicts such as in Sudan's Darfur region and Lebanon has meant that most development aid has been used to save lives — not to help communities prevent disasters and promote development through agricultural programs, education for children and water conservation, Morris said. Researchers have found that the average American family throws away 1.28 pounds of food per day, for an annual total of 470 pounds per household, or 14 percent of all food brought into the house. I am disgusted with America's charities, who pay their executives 6-digit salaries. Children International asks for donations of $22 per child to provide food, medical, education and other needs. Yet, their CEO was paid $347,381 in 2007! It is appalling to me that an organization that stresses how far a mere $22 will go per month, pays their CEO $347,381 a year! That's just plain wrong in my opinion. Anything can be justified, but that doesn't necessarily make it proper or ethical. The Salvation Army isn't quite as bad, they only paid their CEO $175,050 in 2004. No doubt, they have all kinds of excuses to justify such outrageous salaries; but no one needs that kind of salary, and it is certainly unbecoming of a so-called “charitable organization.” I realize that top executives are often paid high salaries for their fund-raising abilities and expertise; yet, it's just inconsistent with all the plethora of ads we see begging for our donations, which might mean “life or death to some child.” If that's the case, just think how many more children's lives could be saved if the CEO's of these fat cat charities were to give back 80% of their salary, God forbid, and actually have to live on $75,000 a year! My, oh my, how would they survive? What gets me is that a charitable organization can actually pay their CEO $375,000 a year and still be rated by the BBB as a great company. Not in my book! The BBB is a joke in America! Many companies who support the BBB are given preferential treatment. In my opinion, you can't trust information from the BBB, nor from America's big charities. Red Cross and United Way are even worse. The top CEO at Red Cross pulled down a $651,957 salary in 2003! According to Forbes, United Way's top executive made $629,950 in 2004! Why do people support these fat cat charities? A lot of people give money to charities to boost their public image, feel good about themselves or to find a tax write-off. It is a sore evil in America. While an estimated 18,000 children continue to starve to death daily throughout the world, and others eat bugs to survive, America's biggest charities continue to pay their top executives outrageous salaries. It is a false balance in God's eyes. Few people realize these days that America's charities have become lucrative businesses. 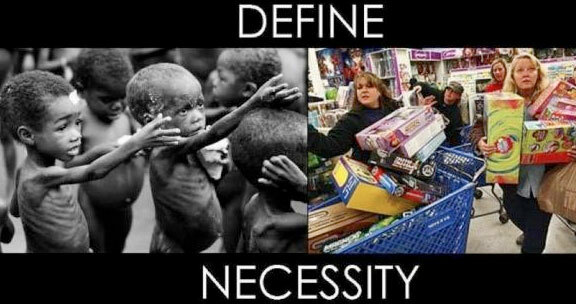 Who do you think will appreciate your money more... some fat cat charity or a struggling family who has no income? If you DO decide to support any charity, demand a financial report of where the donations are being spent. This way you can see first hand where your money is going, and can make sure that you're not buying someone a mansion in the suburbs. Don't accept a vague summary, kindly ask for specifics. If they don't disclose such information, give elsewhere. Honestly, too many people are abusing the system today, living extravagantly on donations, because people don't think. I just can't in good conscience drop my money into a Santa Claus's bucket at Christmas time, when I know the top dog at the Salvation Army is getting paid $175,000 a year! I cringe when I hear ads telling people how much their $22 a month can do to better a poor child's life, knowing that the CEO of that charity got paid $347,381 in 2007! Yet, so many people sit at home, staring at some picture of a child they're supporting for $22 a month, failing to realize that the CEO of that company makes 15-TIMES what the average American family gets paid annually. No CEO of a charitable organization ought to be paid more than $47,381 a year, which leaves $300,000 remaining from this guy's salary. For $22 per month, $300,000 can help an additional 1,136 poor children! Yet, the charity appeals to the American public, from families who are struggling financially to live on $30,000 a year, to give $22 per month. The whole charity scene in America is enough to make one want to go vomit. Please stop giving to big charities and start giving money directly to the poor. Furthermore, most of those big charities don't share the Gospel with the people being helped. Even the Salvation Army is more Army than Salvation these days. When you give money directly to the poor, you can witness to them concerning Jesus Christ, or give them a Gospel of John. Just think how much further your money can go by giving it directly to the poor. I am a firm believer in helping the poor, but not through some fat cat organization that keeps back $600,000 a year for it's CEO. That's crazy! Plenty of food - yet the poor are starving!